Dynamic Hose Solutions, Inc. provides state of the art hose assembly for today’s dynamic market demands. Dynamic Hose Solutions was formed to supply the growing Industrial Rubber needs of Central Kentucky. We are strategically located between Lexington, KY and Nicholasville, KY. Our customer base represents manufacturing, processing, construction, mining, automotive and service industries. The experienced staff at Dynamic Hose Solutions, Inc. has over 100 years’ experience in parts, manufacturing and distribution. You can trust them to find the right hose to meet your needs every time. 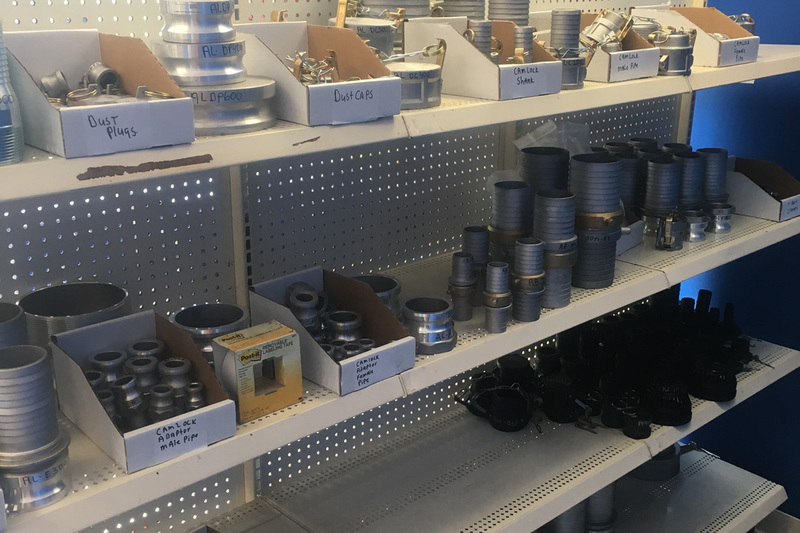 Our inventory covers a wide variety of hoses and fittings. If it’s not in stock, we can have next day ground from most of our supply warehouses. We stock hydraulic, suction, discharge, automotive and food grade hose and fittings, along with many hard to find off hose applications. Need help with selection? We’ve go you covered!